Welcome to November! Wow! Hard to believe we are that far into the school year. 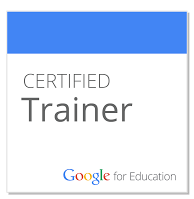 So, as I was reading some things from past meetings, I came across a link and thought I would give it a try. And, it worked, so I am passing it along to you. 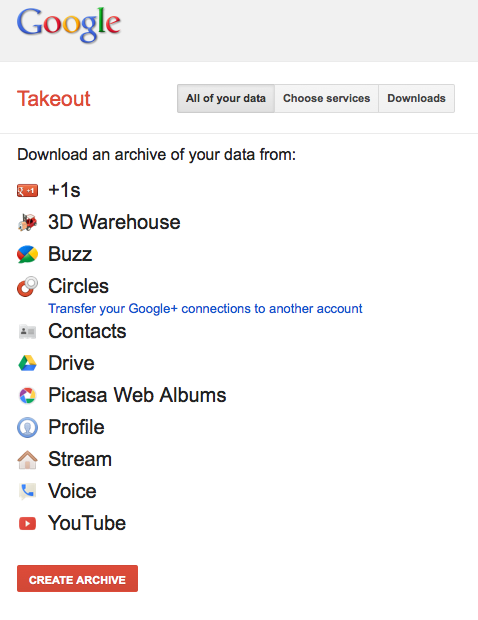 It is called Google Takeout and all it does is allow you to login with your google account information. It then takes all your documents in google and downloads them as a single file to your computer (archives them). "Why is this important?" you say. Well, for one, this is an easy way to back up your google documents. So, create a task or a calendar item and do this once a month. Then, if you lose a document in google or it accidentally gets deleted, you will be able to restore it. 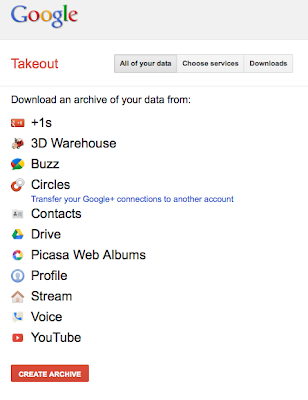 Google takeout will archive more than documents, but that is the main reason for using it. When you follow the link, you can see what else it will archive for you. Please note that it does not backup any of your email. Give it a try...and archive your documents today.